Heritage Oil (LON:HOIL) has agreed a deal to buy into two exploration licences in Papua New Guinea from Kina Petroleum (ASX:KPL). It will earn a 75% of one of the licences, PPL 337, in return for drilling two shallow exploration wells, as well as paying back costs of US$500,000. For the second licence, PPL437, Heritage will initially take a 30% stake by paying for 100 kilometres of seismic and US$300,000 of back costs. 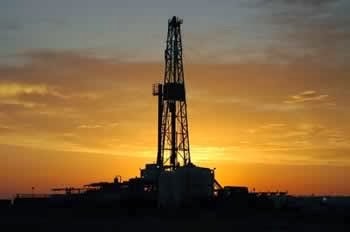 It can earn another 20% by drilling an exploration well. Heritage expects to progress the exploration projects rapidly. It plans to begin drilling next year. "We are pleased to announce the expansion of our acreage in Papua New Guinea which we consider to be an exciting region providing an excellent opportunity for highly commercial exploration in prolific hydrocarbon provinces,” Heritage chief executive Tony Buckingham said. “We believe these farm-ins to be key additions to our existing licence portfolio in Papua New Guinea, entered into earlier this year, and view this region as a core area of our exploration portfolio. “The work programmes across the licences are progressing with a number of high impact wells slated for 2014."